Sometimes I am amazed at what other people find in their daily change. While I tend to pick up a few foreign coins or some old wheat cents, I have never picked up anything really interesting until the other day. During a visit to a numerically named convenience store for a cold beverage, I noticed that there were a few “golden dollars” in the register. The cashier hesitated to give them to me but I told her I was a collector and was interested especially since the one on top was very shiny. After trading three paper notes for the coins my suspicion was correct. 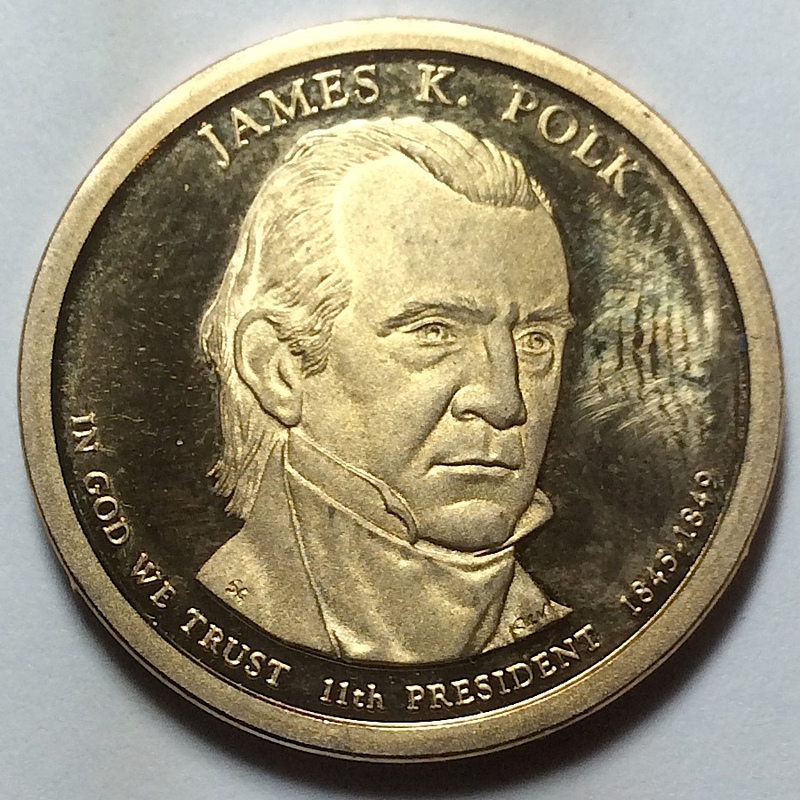 The coin is a 2009-S James K. Polk Presidential dollar. While the coin can be used for one dollar in trade, whomever purchased it paid more and could have sold it for at least $5 rather than placing it in circulation. 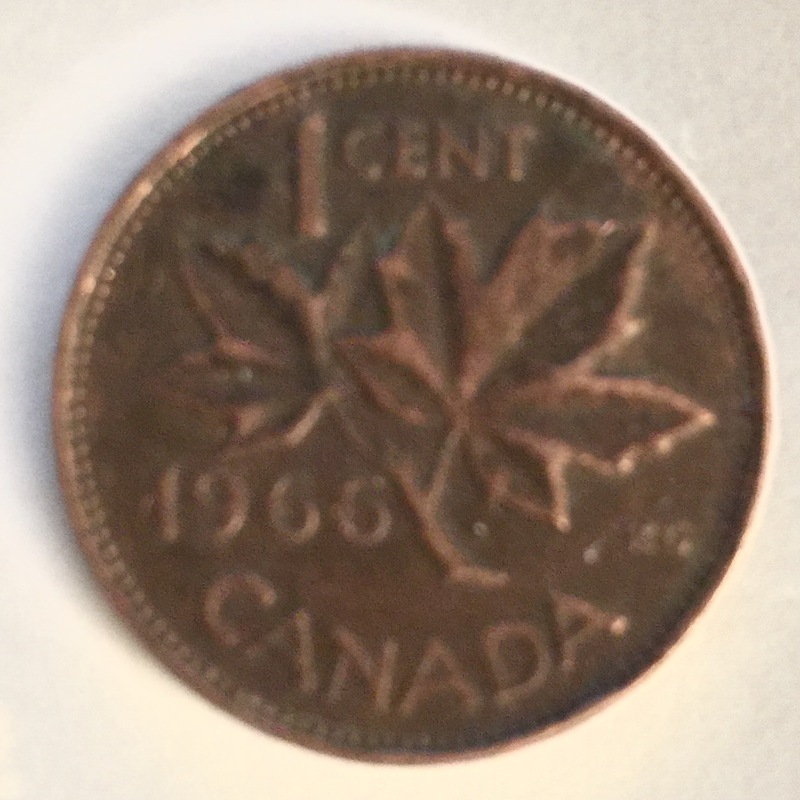 While we do not know the conditions that caused this coin to be in the cash register at the time I stopped in the store, it has been rescued from circulation and will find its way into a collection. I will probably add it to my coin club’s charity auction this December. I know my postings have been sparse. Business has been picking up making me very busy. I will explain more at another time. But for now, I wanted to share my first 2015 find of the year. In the past few years I have had to wait until late April or May to find a coin with the current year’s date in pocket change. This year, it took a trip to New York to find a 2015 coin earlier than in the past. After dropping off my dogs at the house of the person who babysits them, my wife and found our way to I-95 then north to the city of my birth. Since I am a coffee hound, I have to stop in order to take care of the after effects of drinking the coffee and buy more, of course. This time, we stopped at the Chesapeake House Travel Plaza on I-95 in Cecil County, Maryland. First, we were stunned by the new building. the state demolished the old Chesapeake House and rebuilt a new building complete with LEED Silver Certification and a better choice of side-of-the-road restaurants than the usual. One of those establishments was Peet’s Coffee and Tea where I was able to fuel myself before fueling my vehicle. As part of my change I received a shiny, new 2015 Lincoln cent! Not only did a get a good cup of coffee but I was treated to my first 2015 find of the year. It was a good way to start a weekend that included a family celebration! Did you find a 2015 coin in your pocket change? Earlier this week I drove up north to Long Island to spend holidays with relatives. Taking these rides reminds me that we do not live forever. While the family has been expanded with children, the number of relatives at the seder is lower than it was just 10 years ago and these trips are punctuated with trips to the cemetery. One advantage of making this trip is that I get to visit different establishments where paying cash returns change that can have some surprises. Sometimes, I take a close look at what the cashier returns to me. Other times, I just glance at the little metal disks to make sure that it is the correct amount before it is dropped in my pocket. During one of our necessary stops, I was handed some change and noticed that the dimes looked a bit shinier than usual. Quickly zeroing in on the date I saw the “2014” date. After searching all over the Washington, D.C. area for 2014 coins, I find my first somewhere on the road in New Jersey. Later that evening I emptied my pocket to see what else I could find. In addition to the dime, there was a 2014-P nickel and a surprise. In 1979, the Susan B. Anthony dollar was released to much fanfare. It was the first “small” dollar coin and was the first U.S. coin to feature a real woman. Prior to the famed suffragette being featured on a coin, the image was that of Lady Liberty in some form. Even the Indian Head cent was not an Indian but Liberty in a native headdress. But those of us who watch the experiment first hand soon discovered that the coin was too close in size with a quarter. In fact, the color, and reeded edges saw the Susie B. consistently being mistaken for quarters. Almost as instantly as they appeared, the coins disappeared. Even as the public was willing to try the new coins, the rejection was almost as quick. After three years of production, the coins found a home in Las Vegas where they were used in slot machines. 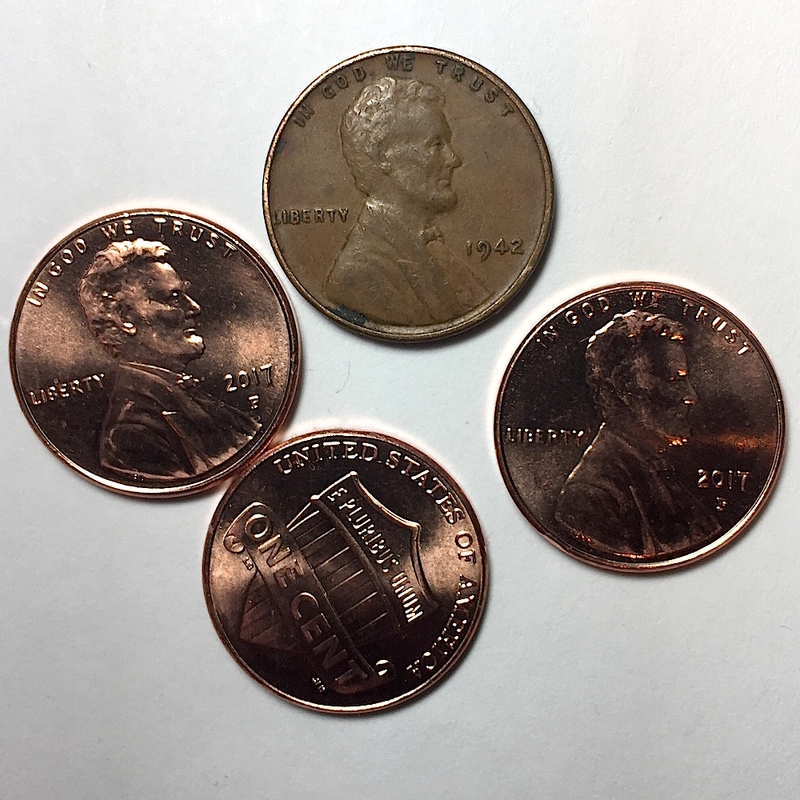 So many coins went unused following their last production in 1981 that was mainly for collectors, production picked up in 1999 after orders for additional coins were made from the vending machine and Las Vegas gaming industry. The ’79 Susie B. that I received in change that was probably mistaken for a quarter. Apparently, the mistakes of the past continue into 2014 since a 1979-P Susan B. Anthony dollar was mixed in with my change. Although some vending machines will provide change in dollar coins and could be loaded with Susie B. dollars, I did not use a machine. I suspect that someone who previously visited that roadside oasis (how’s that for a description of a rest stop along the New Jersey Turnpike), used one of the vending machines, then spent the dollar thinking it was a quarter. The coin sat in the tray in the cash register until it was time to provide change for my purchase. The cashier, not paying attention to what she was doing, counted the requisite number of coins from the quarter section of the draw. In a rush, I just saw what was the right size coin and dropped it into my pocket on my way back out of the building. Starting in 2000, the dollar was changed to not only honor Sacagawea but magnesium was added to the metal mix to give the coins a golden color. 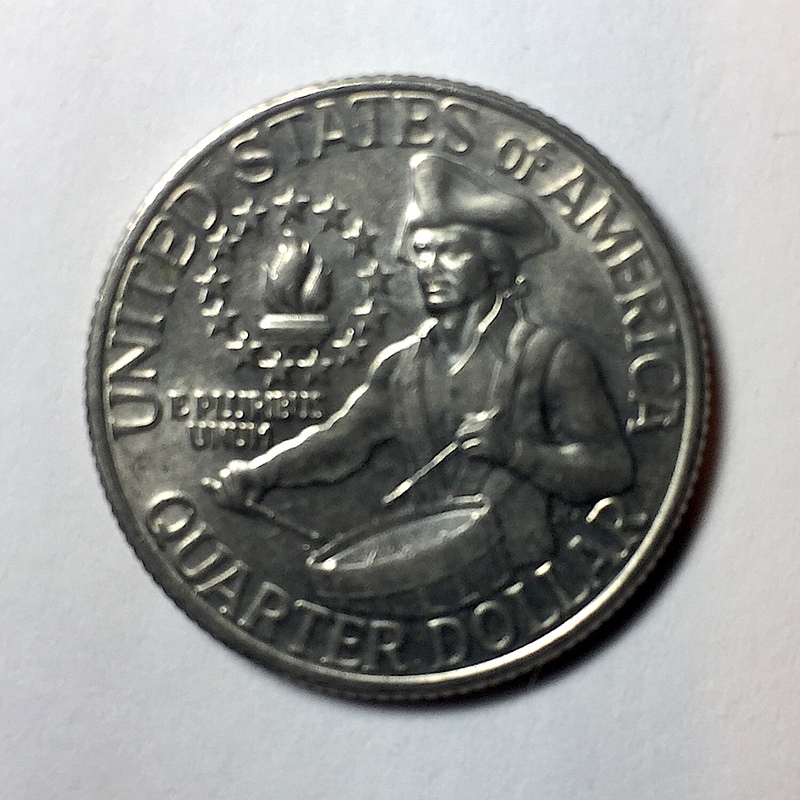 The color and making the edge smooth made it less possible that the coin would be mistaken for a quarter. Unfortunately, the memory of the failed Susie B. lingers among a significant segment of the population in a way that kept a similar push with the modern Presidential dollars from being successful. But in this case, finding a Susan B. Anthony dollar made my day! Return of the Poll: What’s on your desk? Some of the numismatic items found on my desk. To bring back the weekly poll, I thought about my post the other day about desktop finds where I discussed the items I found while cleaning my desk. I was thinking about this and was curious as to what other collectors do? After all, many of these items are the results of my saying “oh neat” and buying something outside of my collecting interest. Others are items that were given to me that are also outside of my collecting interest. I read articles that say if you’re not a collector you’re an accumulator. But it is not that simple. Sometimes I over buy just to get one specific item. For example, the lot of Canadian dimes I found on my desk were purchased because I wanted one of the dimes for my collection. I will probably resell the rest of the dimes, but in the mean time they are on my desk. Other items are souvenirs like the faux million-dollar bill and the package of shredded currency. While I may not have an attachment to them, they are not salable and I just do not want to throw them away. Maybe I’ll create an auction lot of this stuff to see if someone else wants it but it is still here, too. What about you? Do you buy extra items and think you’ll resell them later? What about those souvenirs? How many of you have cheap items that you know you cannot resell or even give away? Take the poll. Comments are always welcome! What kind of "extra items" are in your collection?